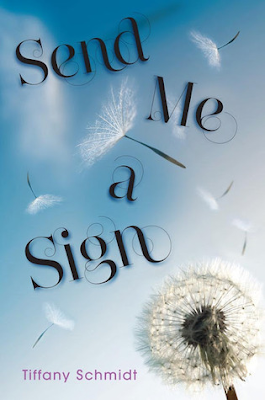 I'm super psyched to be a stop on the Send Me a Sign blog tour! I absolutely adored this book. Sure, at it's heart, it's about a tough subject, but Tiffany Schmidt handled it with such humor, charm, and honesty. For my stop I got the chance to ask Tiffany Schmidt some questions about Send Me a Sign and the writing process. I have a personal history with Leukemia, my cousin died of it when he was 22, and I’m always nervous about reading books that deal with it. I’m always so impressed when a book that deals with such heavy subject matter can make me laugh right along with the tears, and Send Me a Sign did just that. Was there personal motivation for writing this book, or was it just an idea that came to you? First, I am so sorry for your loss. I think it’s incredibly brave that you decided to read Send Me A Sign, even having a personal history with this awful disease. As for why Mia’s story? 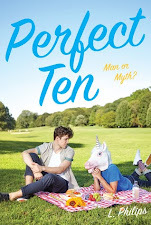 I wanted to write about a character who was a teenager who happened to have cancer. Not, A Cancer Patient who happened to be a teen. Cancer is an awful, awful disease, but it’s not an identity. People who are sick can be selfish, can be foolish, they can be stubborn and flawed and loyal and brave and superstitious. Mia is all of these things. She plays so many roles for so many different people—best friend, daughter, girlfriend—and she’s determined not to have a cancer diagnosis change the way people perceive her or the way they treat her. I’ve known people in this situation who have had this outlook—don’t treat me differently be cause I’m ill—and it’s something I really respect. ....Not that I think the way Mia goes about hiding her illness is necessarily the right thing to do, but I did want to explore the ways we treat people who are sick. And this idea that when everything else in life feels unsettled or scary, there’s so much comfort in holding onto normal. Gyver is the king of making playlists for every feeling and occasion, is there specific music that helped with inspiration while you were writing Send Me a Sign? Did you make a playlist for the book? Oh, yes! I had several. I listened to them on repeat while writing the book, but of course once Send Me A Sign was out on submission to editors, I moved on to another writing project. When Send Me A Sign sold and my editorial letter arrived – one of the first things I did was cue up the playlist. Listening to those songs brought me right back into the mental space I’d been in when I wrote the book. I’ve listened to it again a lot recently while working on promotions and interviews. There are some songs—like Stevie Wonder’s Superstitions, Something Corporate’s Break Myself, and Jack’s Mannequin’s Caves that I’ll never be able to hear without associating with this book. Always YA. Before Send Me A Sign sold I was a teacher and I’ve always been fascinated by YA readers and books. I love the way people change so much during this time in their lives. It’s such a dynamic age with so many important decisions and demands. Life is changing so quickly for teenagers and school creates a crucible of social pressures and societal expectations. While I’m not sure I’d like to go back and be a teenager again, I love exploring their lives through the novels I write and read. While creating Send Me a Sign, what was your favorite part about the writing process? Do you have any quirky writing rituals? First drafting – in those rare moments when the ideas are tumbling out so fast and my fingers can’t keep up – that’s my favorite part of the writing process. As for quirky writing rituals, I’ve tried really hard not to develop these—I have such a fear of becoming dependent on something in order to write (i.e. a lucky pen/chair/pajamas/beverage) and then being unable to work if I don’t have everything just so. This being said, I DO have one silly writing rule. I only let myself eat my favorite candy (Crazy Core Skittles a.k.a. Revision Skittles) when I’m revising. The rule is ONE Skittle per page revised. It’s a great motivator – and probably the reason that revisions are my second favorite part of the writing process. Mia decides not to tell all of her friends when she finds out she has Leukemia. How different do you think her battle, and this story, would have been if she’d told them all right away? If Mia had told her friends she had leukemia, Send Me A Sign would have been a very different book. Much of her struggle comes from trying to pretend she’s exactly the same person as she was pre-diagnosis and while the disease doesn’t change her identity, it does physically limit her. She doesn’t have the energy she did before, she can’t perform the same role in the cheerleading squad, she’s got hospital stays and absences that she needs to explain away with lies. All this deception becomes another source of fatigue and stress. 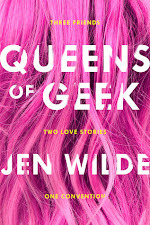 Mia has a conversation at one point with someone (who will remain unnamed so it’s not a spoiler), where she acknowledges that her friends would have been there and done things like have people “shave their head in solidarity.” The problem was, Mia wasn’t ready to face the reality of being sick – and telling her friends would have forced her to do so. Gyver! His voice and his reactions to Mia have always been so clear in my head. From first draft to the final copy sitting on my desk, very little changed in the scenes in which he appears. Just for fun, if you were the captain of a pirate ship, which literary characters would you want as your crew? Captain Wentworth from Jane Austen’s Persuasion – because we need someone who knows boatish stuff. Cammie Morgan from Gallagher Girls – because all those languages and spy-training would definitely come in handy. Adam from If I Stay / Where She Went – because we’ll need some entertainment and I’ve got a soft spot for hot musicians. Katsa from Graceling – I’m pretty sure if she was on my crew, I wouldn’t need anyone else. Thanks for reading it and sharing about your cousin! *huge hugs* Also, thank you for having me on The Book Life!